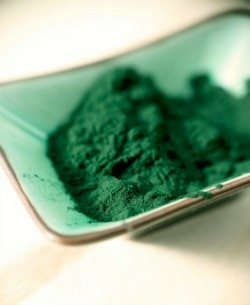 Spirulina is a superfood unlike any other. 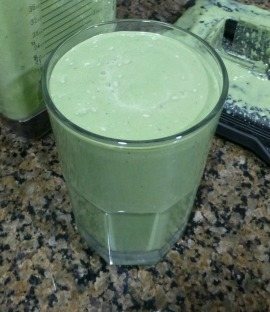 It is a type of blue-green algae, or cyanobacteria. Blue-green algae are an ancient type of life form. They are bacteria, but also sometimes classified as plants. This type of algae gets its energy from the sun, just like plants, and uses photosynthesis to convert sunlight into food. 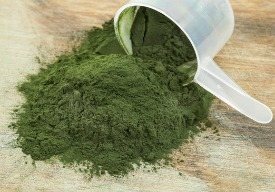 There are many different types of algae under the blue-green classification, some of which produce toxins that can kill people and animals, and a few that are very nutritious and have healing properties. 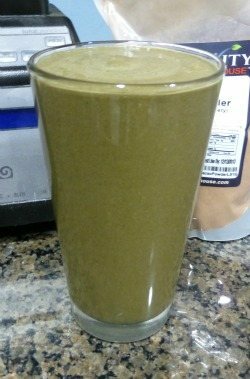 In the latter category is spirulina. Two species of cyanobacteria, Arthrospira platensis and Arthrospira maxima, are called spirulina. At one time, these two species were put in the genus Spirulina, and although they now belong in Arthrospira, the name stuck. Spirulina cyanobacteria grow in subtropical and tropical lakes that have high acidity and high levels of the minerals carbonate and bicarbonate. 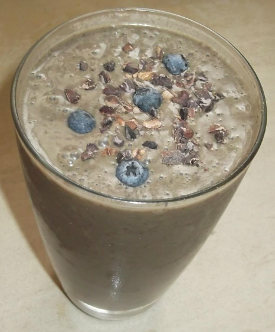 This smoothie combines two of my favorite nutrient dense superfoods, cacao and spirulina. 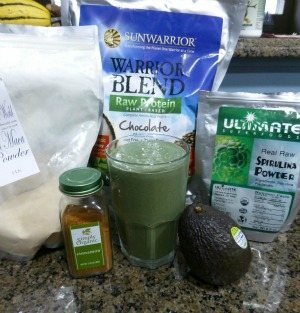 Add in some fresh fruit and a few other ingredients and you’ve got a delicious and highly nutritious superfood smoothie. Cacao is one of my all-time favorite superfoods. Who doesn’t love chocolate? It’s rich in magnesium, iron, chromium, vitamin C, and a good source of zinc, copper, and manganese. It also contains essential omega-6 fatty acids and the amino acid tryptophan, which your body uses to make serotonin, the feel good chemical.